Cyclone Idai created a 30-mile wide inland ocean, and officials say it will be days before a complete assessment can me made. BEIRA, Mozambique — A week after Cyclone Idai lashed southern Africa, flooding still raged as torrential rains caused a dam to overflow in Zimbabwe, threatening riverside populations. The confirmed death toll in Zimbabwe, neighboring Mozambique and Malawi surpassed 500 on Thursday, with hundreds more feared dead in towns and villages that were completely submerged. “Most of the bodies were washed into Mozambique and because they were in a really bad state, they could not keep the bodies,” Defense Minister Oppah Muchinguri said, speaking in the eastern city of Mutare. “Don’t create panic,” Correia urged other government officials as more updates on the devastation trickled in. He said some 182,000 people had been affected by the flooding. “Now that the water is receding, we fear that we will see even more,” the secretary-general of the International Federation of Red Cross and Red Crescent Societies, Elhadj As Sy, told The Associated Press. Homes, villages and entire towns were submerged across central Mozambique, where flooding created a muddy inland ocean 30 miles wide. 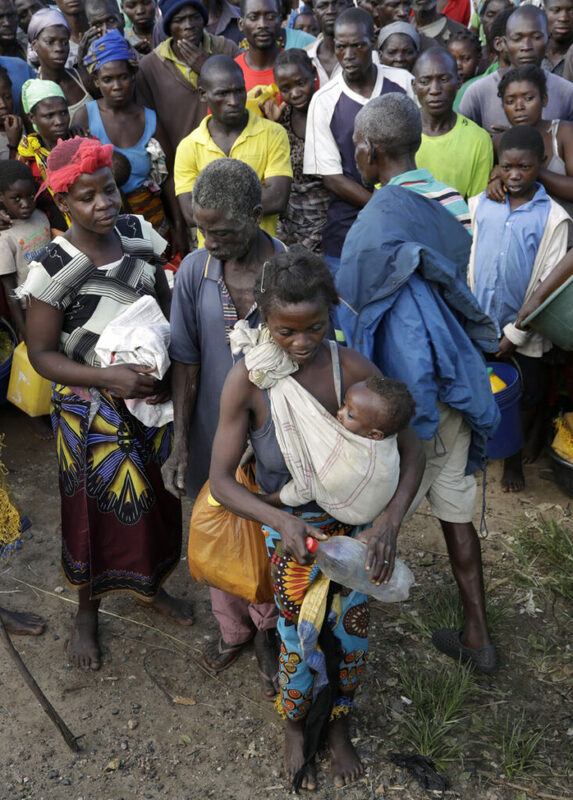 The U.N. food aid agency said 400,000 people were displaced and “in urgent need of life-saving assistance” in Mozambique’s coastal city of Beira and flooded areas along the Pungue and Buzi rivers. In Zimbabwe, 90 percent of the district of Chimanimani – the country’s hardest-hit – was significantly damaged, the agency said, estimating that 200,000 people would need food assistance over the next three months.